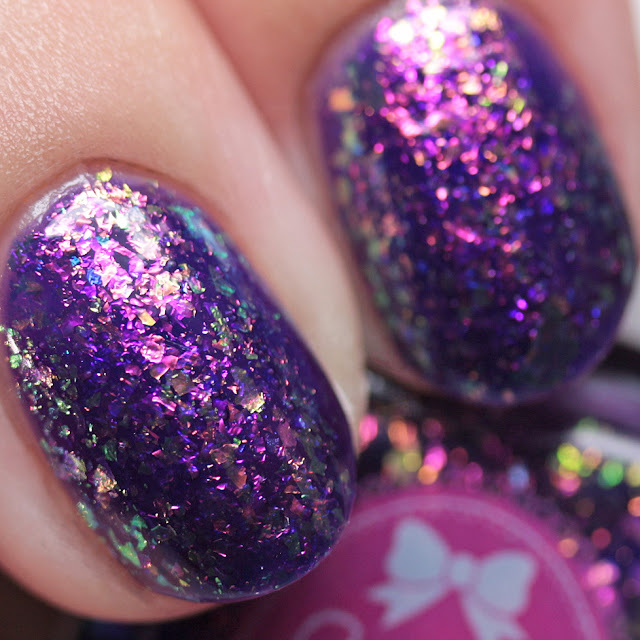 Cupcake Polish has two new releases coming this Monday, August 13. I have the Radioactive Collection to show you and the other is a trio of pastel thermals called the Ice Cream Trio. 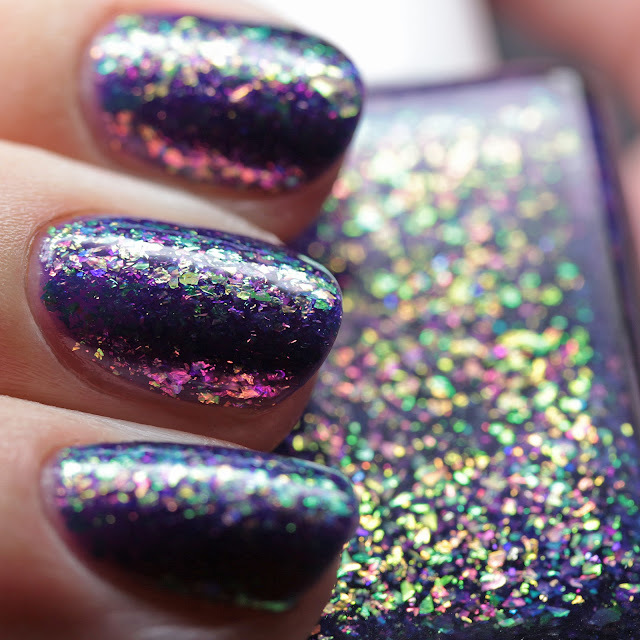 The Radioactive Collection takes shimmery and glowing to a whole new level with amazing effect pigments. These will be available at 8PM CDT and each is priced at $13. Let's get started with half the collection today! 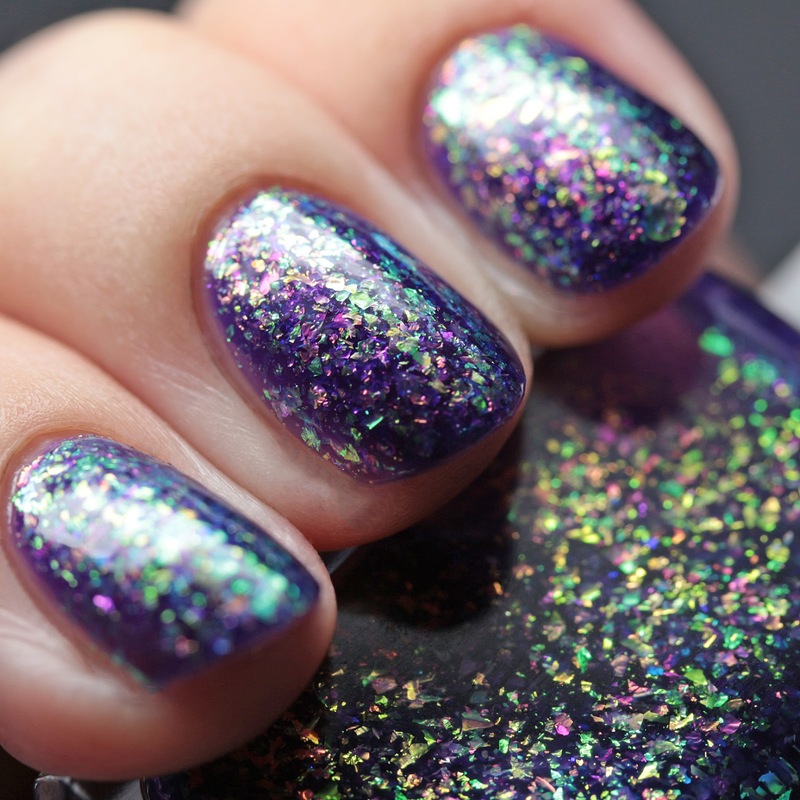 Cupcake Polish Atomic is a royal purple jelly with magenta-to-green multichrome iridescent flakes. This one has a ton of reflectivity and shift. I wore it in three thin coats for maximum depth and it had a good dry time. 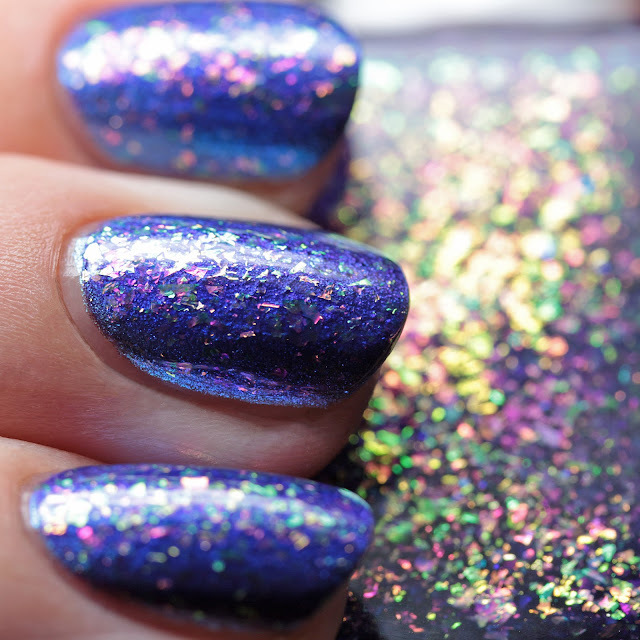 A single layer of top coat will smooth it. 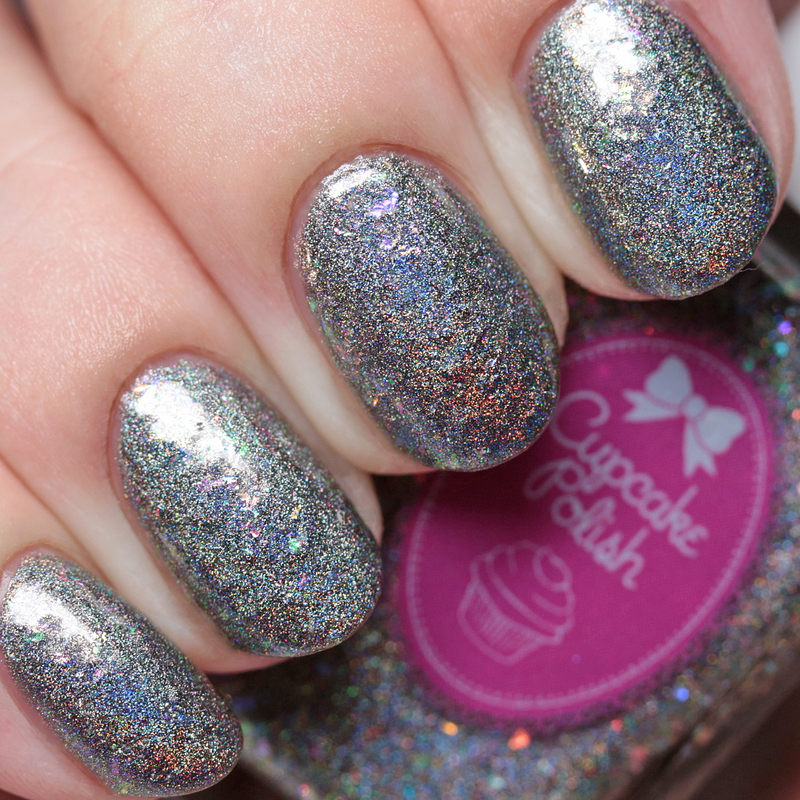 Cupcake Polish Beta is a steel gray linear holo with multichrome iridescent flakes. 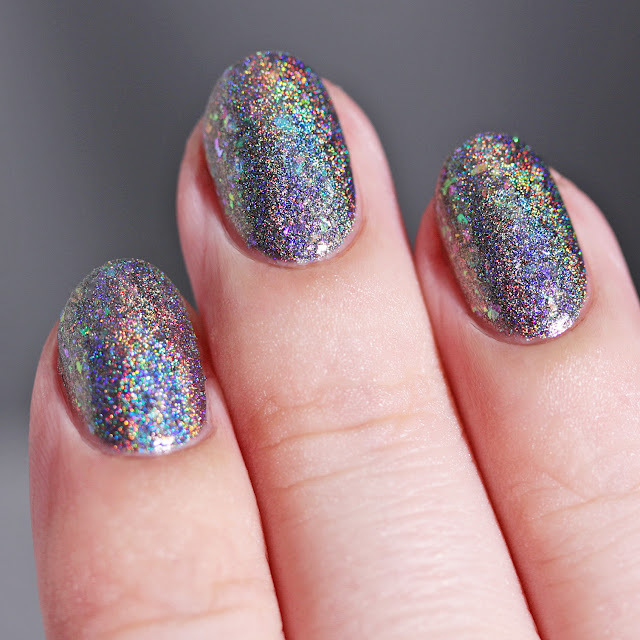 This has about as holo a punch as you can get and due to the flakes, does not disappoint in the shade, either! I love polishes that have equal amounts of sparkle in different light. I wore it in three thin coats, but two will do. It smooths out with a single layer of top coat and dries quickly. 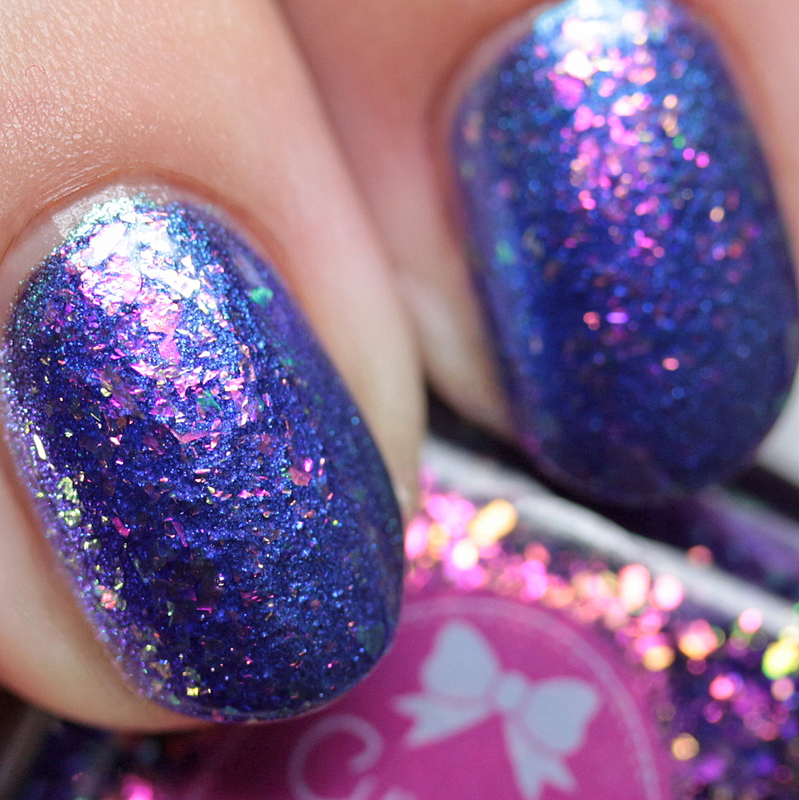 Cupcake Polish Fallout is a foil that shifts from aquamarine to magenta. I would characterize this as one of the new pastel ultra-shifters. I wore it in three thin coats and it dried quickly. I recommend thin coats for a smooth finish as with any foil polish. 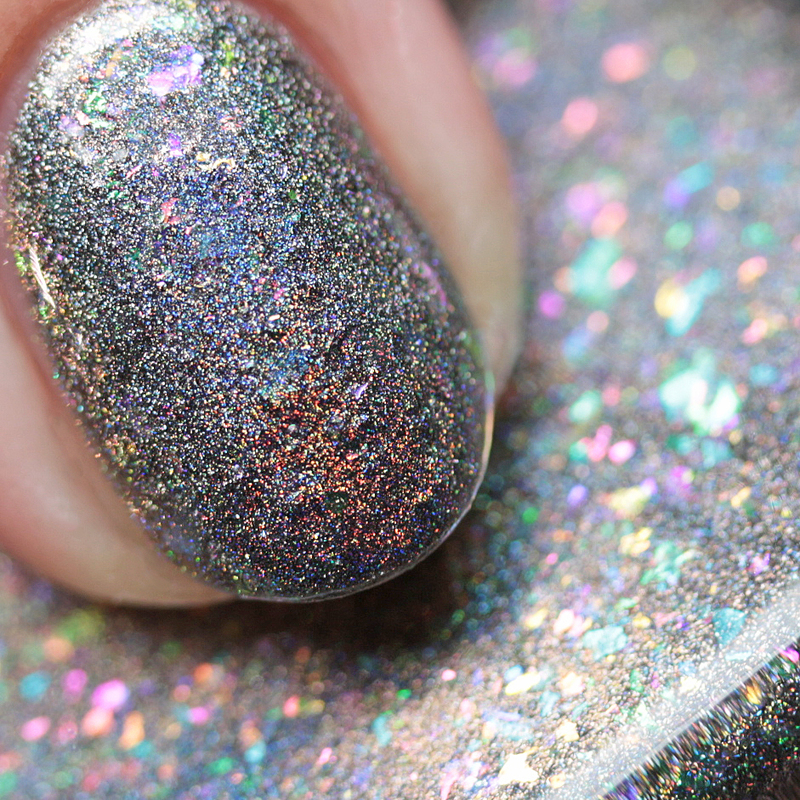 This was much more metallic and shimmery in person than can be captured in pictures. 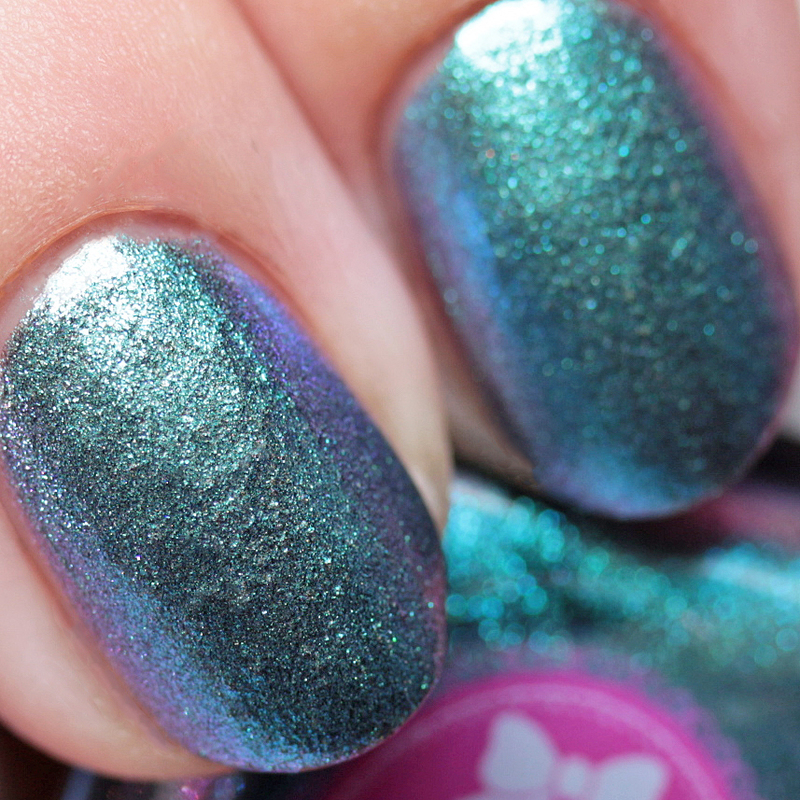 Because Atomic is a jelly, I had to try it as a top coat in a single layer over Fallout. I loved it this way! 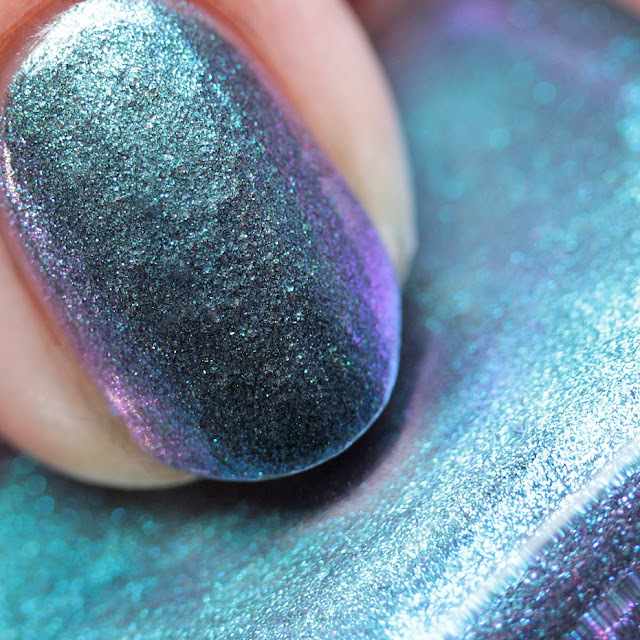 You could definitely use Atomic to change up any base shade you like. 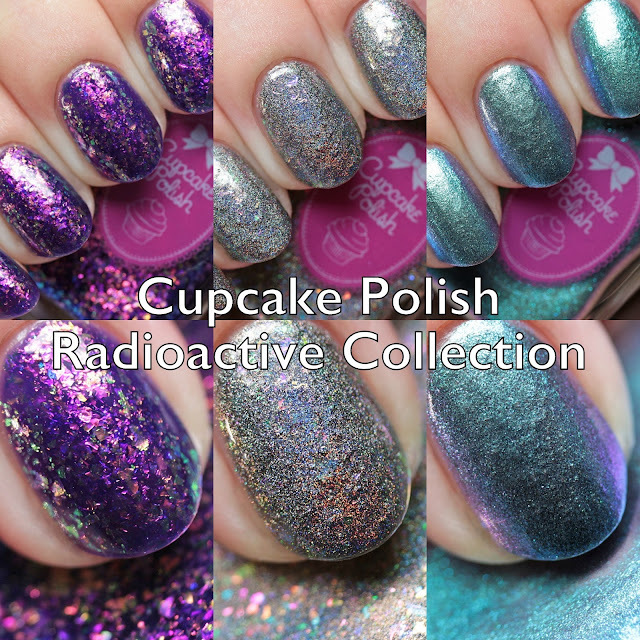 The Cupcake Polish Radioactive Collection will be available at 8PM CDT and each is priced at $13. 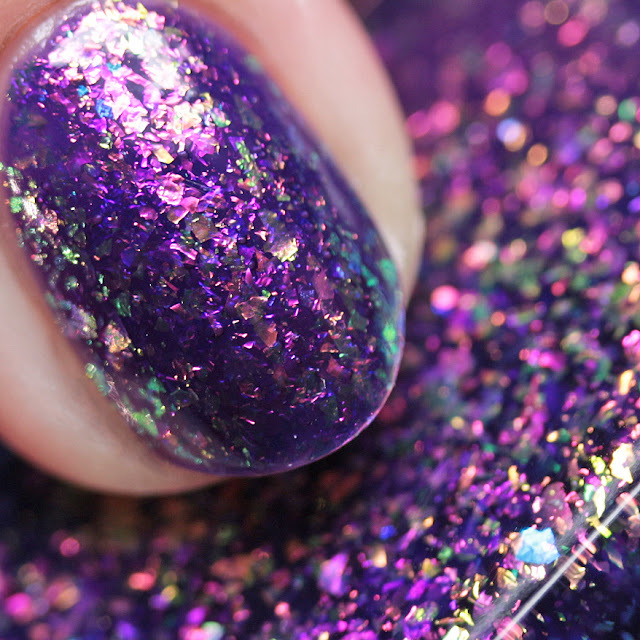 I am totally in love with them since they are effect finishes done punchy and bright! 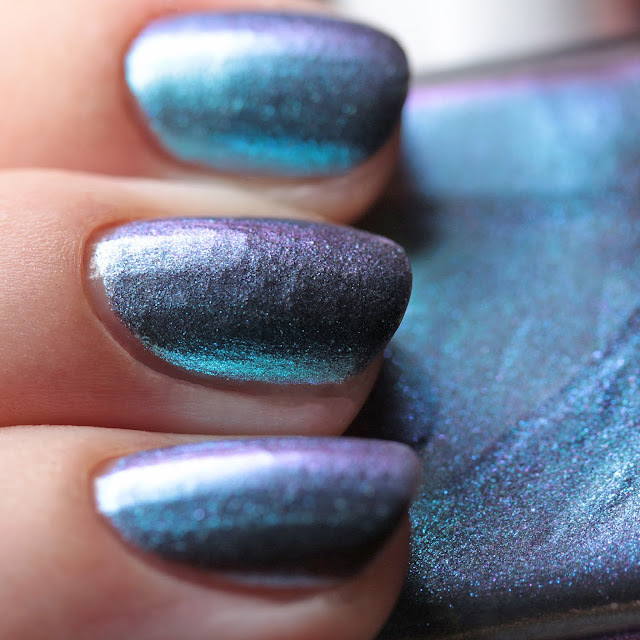 I will be back tomorrow with three more shades from the collection! Do you have a favorite?